The University of Zimbabwe (UZ) has begun its search for a substantive Vice Chancellor to replace Professor Levi Nyagura, who left the institution amid allegations of abuse of office. 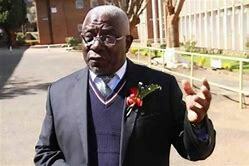 Prof Nyagura faced allegations of facilitating the unprocedural conferment of a Doctor of Philosophy degree on former First Lady Mrs Grace Mugabe. Prof Paul Mapfumo is the Acting Vice Chancellor. UZ has since advertised the post in the media. “The ViceChancellor leadership role entails being able to provide visionary and strategic leadership to the university, including maintaining and promoting research, innovation and industrialisation as well as ensuring efficiency and good governance in the conduct of business of the institution,” read the advert from the university. The new Vice Chancellor is expected to foster strategic partnerships and harmonious working relationships between and among various university stakeholders, staff, students, public and private organisations.